We are very honored to bring Gentry home and include him in our herd. Gesture is the style and type of doe we are looking for. She is a big deep angular powerful doe. She reached over 4000 pounds in production at age four. She was National Champion in 2006 and National Reserve Grand Champion in 2005 & 2004. Gesture is similar in type to our Legacy one of our foundation does. Pascale has shown very well, with 7 best in show wins and at times ahead of Gesture. Gentry is a big tall long buck, with a lot of leg and very long bodied. He is level and straight on the move. He is smoothly blended at the shoulders into the withers. He coded excellent in shoulder assembly. Gentry is extremely level over the top line and rump and coded E in rump. He also coded E in rear legs, where he tracks straight, is wide, has correct rear leg angulation and width between the hocks. We have two lovely Gentry daughters; Luxury and Blossom, both have level top lines & deep bodies. Luxury is especially wide in the escutcheon. 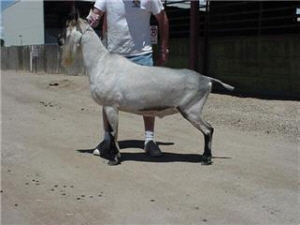 Gentry earned a best in show as a yearling buck. 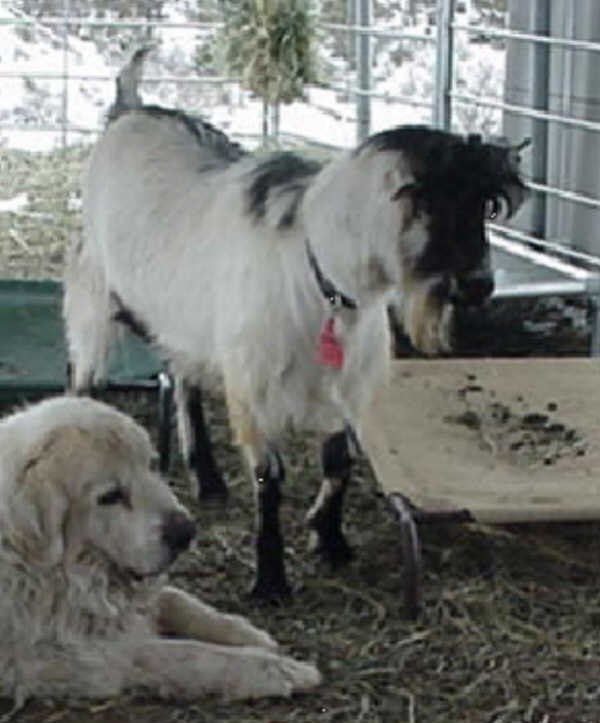 Gentry has two ADGA National champions, Bridget and Granite, both does in the Cherry Glen herd.